Cecil Adams, Currey’s Creative Director, and Bethanne Matari, PR Maven, recently traveled to Delaware to visit the Downton Abbey exhibit at Winterthur and attend the annual Point-to-Point on the Winterthur Estate. Here they share some of the highlights of their trip. If you are a fan of the British period drama, Downton Abbey, then the Costumes of Downton Abbey is an exhibit curated just for you. Winterthur Museum, located in the beautiful Brandywine Valley of Delaware, worked with the production team of the hit TV series to create this collection of Edwardian costumes. The life and fashions of Downton Abbey correlates to the lifestyle of Henry Francis du Pont who owned Winterthur and collected an outstanding array of American decorative arts and furniture housed on the Winterthur Estate. This exhibition can only be seen at Winterthur and runs from now until January 4, 2015. The exhibition includes the exquisite wedding gown of Lady Edith and the delightful harem outfit of Lady Sybil. 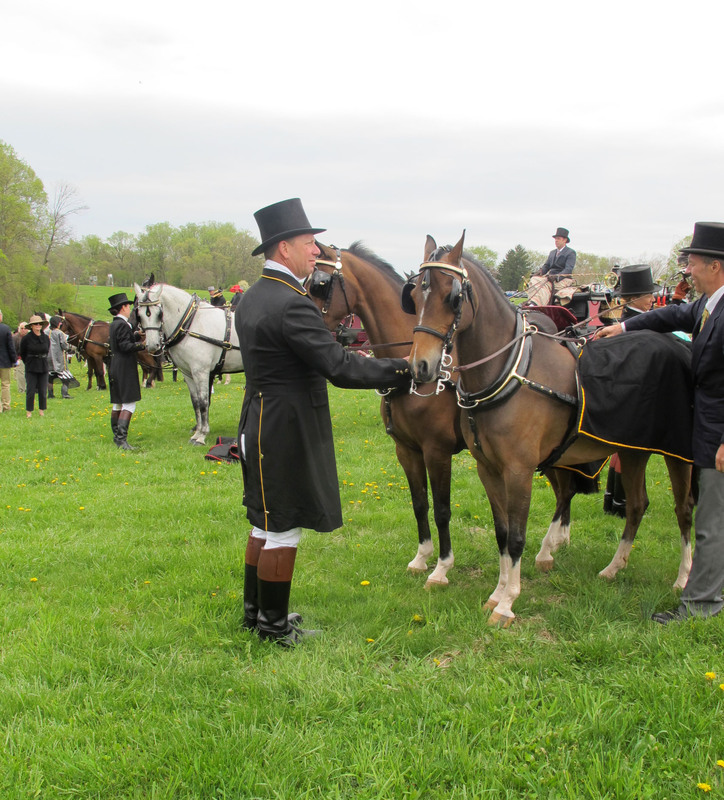 Point-To-Point is an annual event held at Winterthur since 1978. The day is filled with horses, fabulous outfits and hats, vintage cars, traditional carriages, good food and lots of Bloody Mary’s and champagne. It’s one of the best spring events in Delaware. Taking a tour of England’s National Trust Gardens would be a perfect spring trip but for those who cannot afford a trip abroad, the Brandywine Valley is the next best place to be. The entire valley is breathtaking. 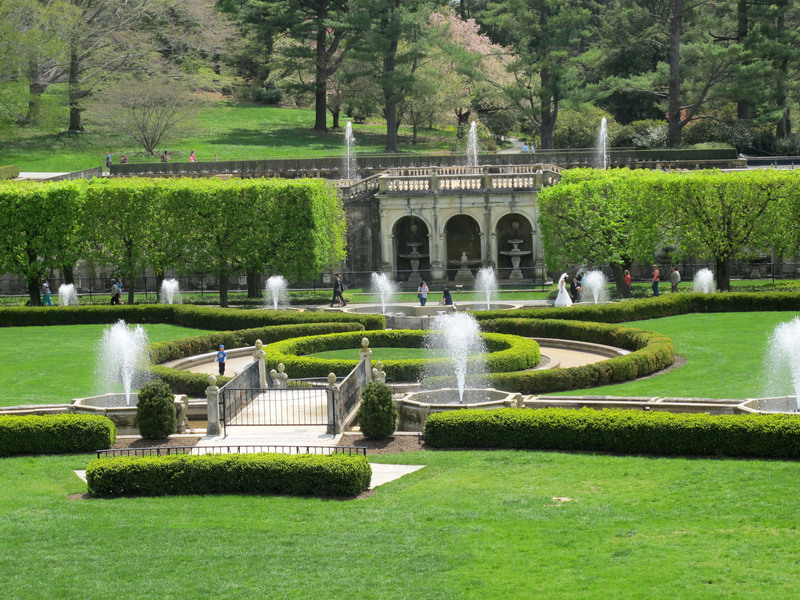 Longwood Gardens should be your first stop.The garden was founded by Pierre S. du Pont and spans over 1,077 acres. Ancient trees, formal gardens, seasonal flowers and rolling hills make up the views along with a grand conservatory built in 1919. To plan your trip. Throughout the summer, we will write more about Winterthur and its many treasures. The Currey & Company Design Team is working away on new additions to our Winterthur Collection to debut at the October High Point Market. Stay tuned for sneak peeks! This entry was posted in Currey & Company, History and tagged Company Happenings, Events, Garden, Winterthur on May 22, 2014 by Currey & Company.